The issue of development has become de rigueur to every political manifesto, campaign, and debate. Unfortunately, for India, none of her current leaders, whether using development for jingoism or demagoguing, have the vision of sustainable development. For our leaders, development is limited to the ‘built environment’. They call only building roads, toilets, resorts, buildings, hospitals as development. But isn’t developing biological corridors that facilitate increased fecundity of wildlife also a form of development? Isn’t sustaining biodiversity also a kind of development? Isn’t increasing food production by increasing the fertility of soil without chemicals also a type of development? Isn’t maintaining the health and vitality of our mountains, rivers, and forests also a form of development? Massive funds are allocated for those types of developments which destroy natural resources of the country, whereas sustainable development doesn’t even find mention in parties’ manifesto. Such destructive development that ostentatiously ignores the harm that is caused to nature comes at a very high cost than what the estimated budget set for the project is. In May 2017, the CPI-M led LDF government in Kerala proposed to spend about Rs. 20,000 crore for various development projects which included construction of big roads, bridges, IT parks and welfare schemes, out of which promoting tourism was the priority. In August 2018, the government pegs losses at Rs. 1,9512 crore due to this man-made disaster. The indiscriminate construction of resorts with unchecked quarrying and mining in ecologically sensitive areas by felling trees on the mountains has led to the soil erosion which has led to the unprecedented landslides. The unrestrained check dams built across most of Kerala’s rivers affect the water flow upstream which proves dangerous during floods. 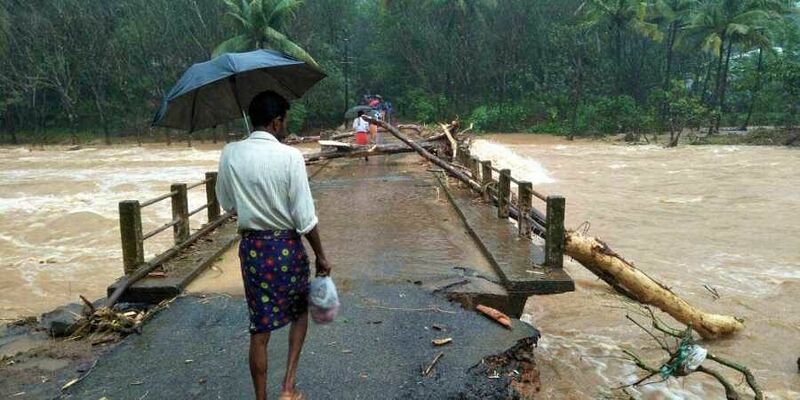 To mend the loss, CM of Kerala has requested Rs.2000 crore relief package from the central government. 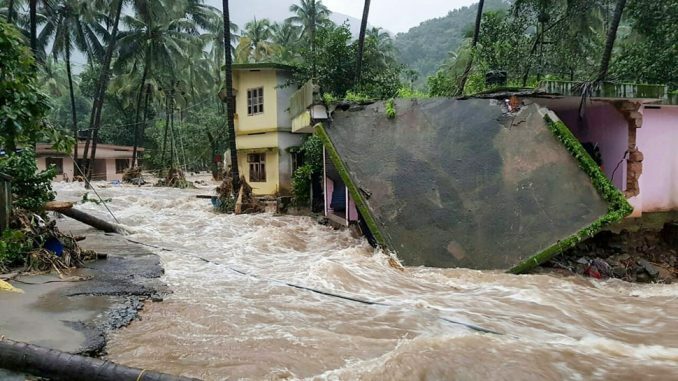 Kerala flood is a great example that shows the cumulative financial burden such destructive development loads on the country. The development projects for Mumbai mirror Kerala’s destructive development process. The government proposes Rs. 3,800 crore Goregaon-Mulund Link Road bisecting Sanjay Gandhi National Park & Aarey colony, which are the only surviving green patches left in Mumbai. To implement the project, BMC will need to divert 21.5 hectares of forest land and chop around 625 trees. The destructive development doesn’t end here. The Mumbai Metro Rail Corporation Limited (MMRCL) floated tenders worth Rs. 328 crore for the construction of the depot, a metro station and workshop buildings at Aarey Colony. The colony is a biotope consisting of 77 species of birds, 34 species of wildflowers, 86 species of butterflies, 13 species of amphibians, 46 species of reptiles, several of these being listed under Schedule II of the Wildlife Protection Act, and 16 species of mammals, including leopard. To implement this project as many as 3184 trees will be chopped at the cost of Rs. 3.2 crore. WHO’s global air pollution database has ranked Mumbai as the fourth most polluted megacity in the world surpassing even Beijing. But there has been no concern about Mumbai’s deteriorating air quality, let alone any action being planned to tackle it. Instead, the government is aggressively pushing the destructive development which will disrupt the groundwater table leading to drying of freshwater lakes of Vihar and Tulsi that supply water to entire Mumbai. It will also increase the city’s temperatures, cause loss of catchment areas, irregular rainfall, besides inevitable air quality crisis. Should we not call these leaders visionless who couldn’t foresee the enormous financial implication of destructive development projects that blatantly destroy natural resources of the country? All types of development in the eco-sensitive zones should be strictly disallowed. And, the state should encourage expansion of eco-sensitive zones that are shrinking in the area due to confiscation under the pretext of development. An absolute ban on the felling of trees on the hills under the name of any form of development- tourism or transport. Make illegal quarrying and mining an unbailable offence. An absolute ban on construction of new check dams. Demolition of the many check dams. A team of environmentalists, scientists, ecologists, local stakeholders and government officials should come together and formulate a draft policy related to the sustainable development of the state. In case the states want to continue their destructive model of development, they should decide who will bear the brunt of the disaster- resort lobby, mining lobby, real estate lobby or vision-less government officials. It certainly shouldn’t be the taxpayer who always becomes the scapegoat to either the greed of humans or nature’s fury.